Imagine being a young football fanatic. Nothing else in life really matters, and your dream to make it to the heights of a worldwide stage is all that matters. 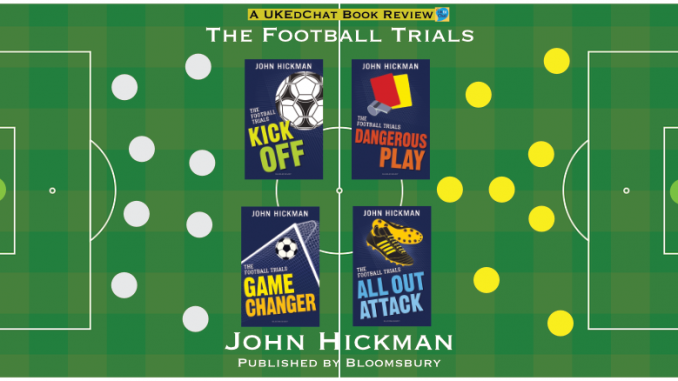 The Football Trials, a series of books written by John Hickman, introduce us to Jackson Law, a young, aspirational footballer who gets scouted and ends up on the road playing for United. Along the way, teenager Jackson has many difficult issues to face, including fitting in, coping with clear social divisions, bullying, and challenges of coping with being scared of failure. The first story ‘Kick off’ tells how Jackson is noticed by a scout, and the journey of the trials, exploring the feelings Jackson struggles with when faced with an exciting, but challenging, new situation. The story continues in the second book ‘Dangerous Play’, where Jackson is confronted with strong feelings towards Lauren, a girl he has known for most of his life, but her ex-boyfriend places the main character into an uncomfortable dilemma affecting his football and teammates. In the third book ‘Game Changer’, Jackson’s father returns into his life, causing disruption and upset, that impacts on his ability to concentrate during football games. All is not what it appears, and again Jackson is faced with difficult issues as he tries to understand the situation. The final book of this series ‘All Out Attack’, tells the story of how Jackson’s granddad – the main positive male influence in his life – falls ill, causing upset with many of his relationships as the distress of the situation takes a toll on Jackson’s behaviour. Throughout the series, dream opportunities appear for the main character, but the issues and challenges created by John Hickman are easily relatable to teenagers. The books are part of Bloomsbury’s High-Low books, encouraging and supporting reading practice by providing gripping, age-appropriate stories for struggling and reluctant readers – those with dyslexia, or those with English as their additional language. The books are aimed at readers aged 12+, as the issues which can be quite challenging – so perfect for KS3+ (secondary) pupils who may be reluctant to read, for whatever reason. Furthermore, each book has a great selection of questions and discussion points at the end, which are brilliant prompts for when adults are working one-to-one with pupils, or among small groups. 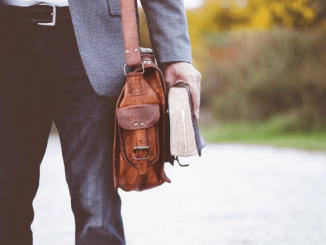 Each story is completed within 70 pages, and could easily be read with students over a couple of short sessions, so the readers don’t feel overwhelmed by the amount of text but also feeling a sense of accomplishment by completing a book. If you are working with KS3 students who are reluctant readers – but have a clear enthusiasm towards football – then this series of books should engage, dealing with issues that are very important to young lives.